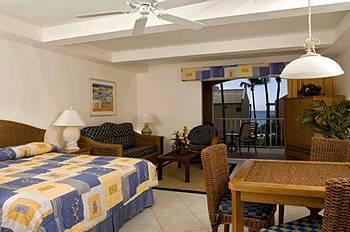 One of Aruba's vacation spots is the Tamarijn Aruba All Inclusive Resorts. Look forward to delightful scuba diving in Aruba since the resort is located in the lovely Oranjestad right on the water's edge. You will appreciate scenic views from the balcony of your room. Each room is beautifully designed with air conditioning, mini-fridge, telephone and hair dryer just to name a few amenities. Your Aruba all inclusive vacation package is stuffed with goodies such as unlimited beverages, meals at restaurants and grills, nightly entertainment and so much more. Non-motorized sports and activities are also included in your vacation package at Tamarijin. Snorkeling equipment and tours are readily available. At an additional cost dive packages can be added to make your dive vacation a complete adventure.